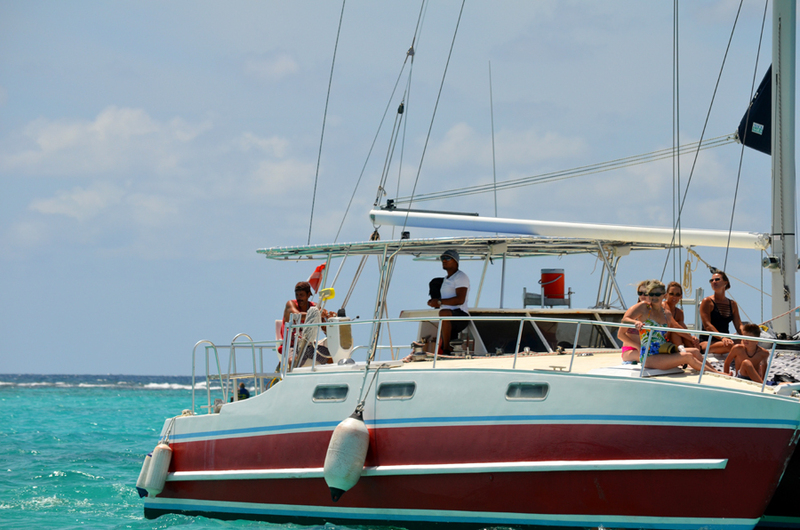 Come aboard The Trimaran Catamaran Stingray City Excursion and experience Stingray City trip the way it was meant to be. 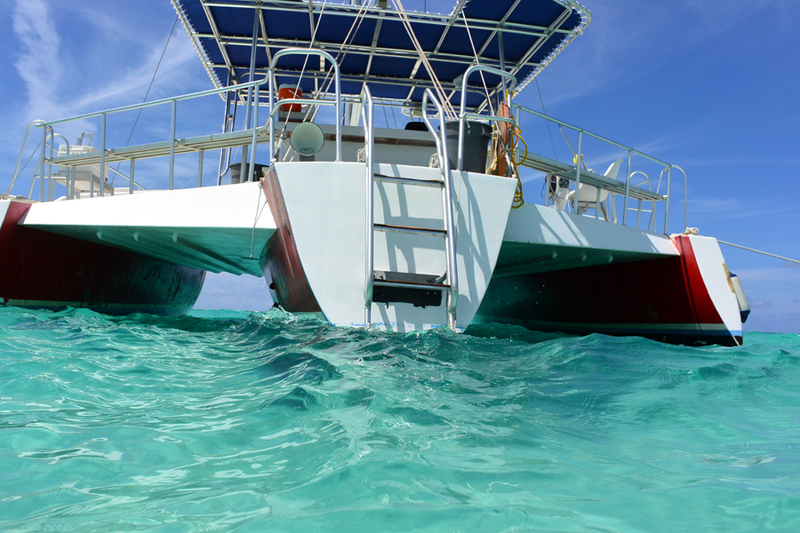 Avoid the overcrowded and cramped motorboats. 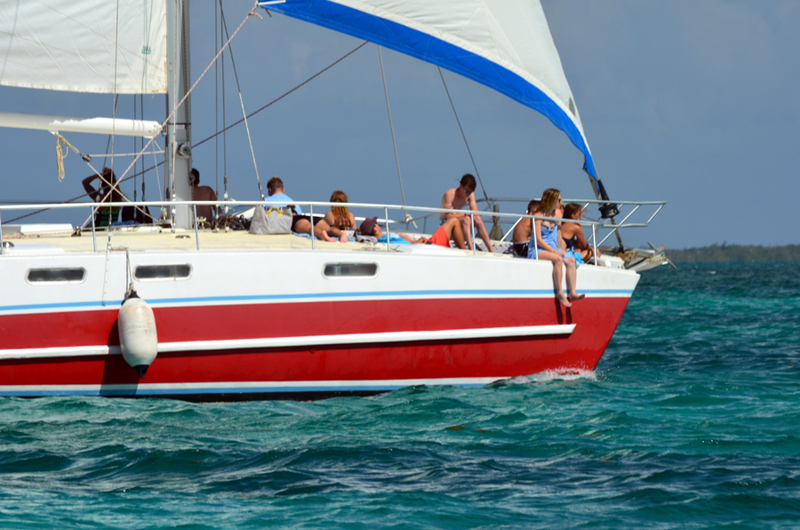 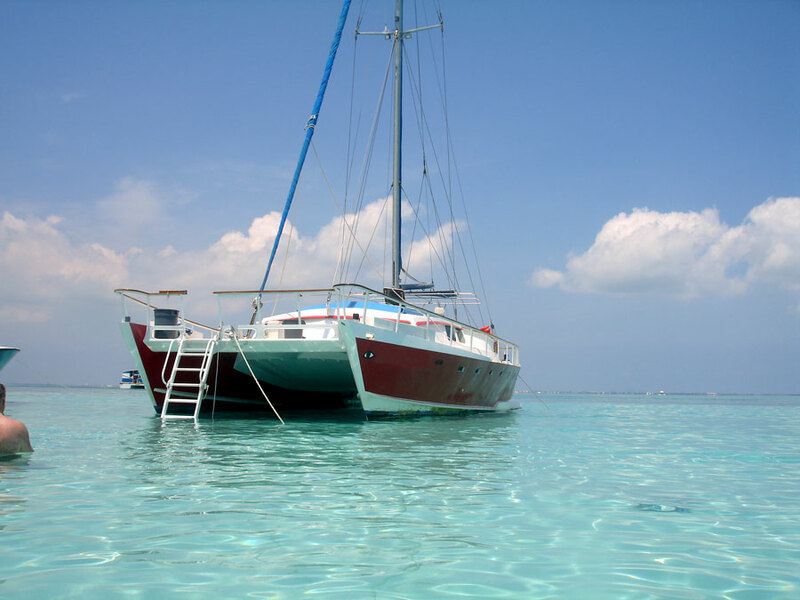 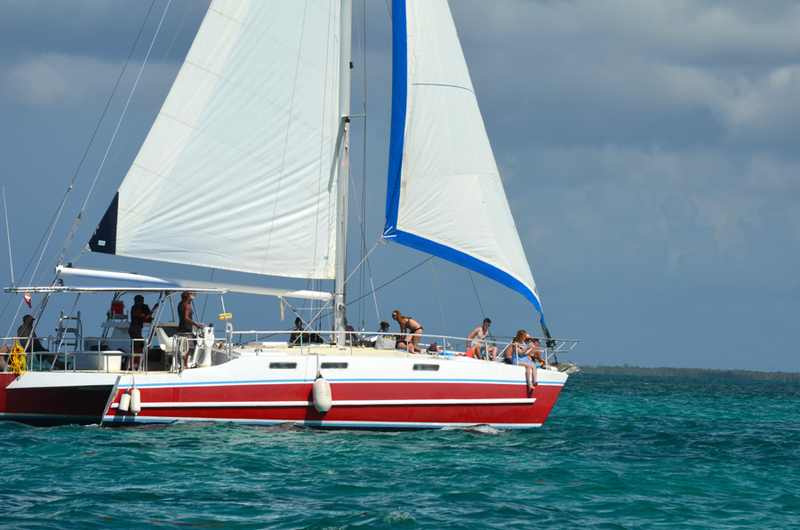 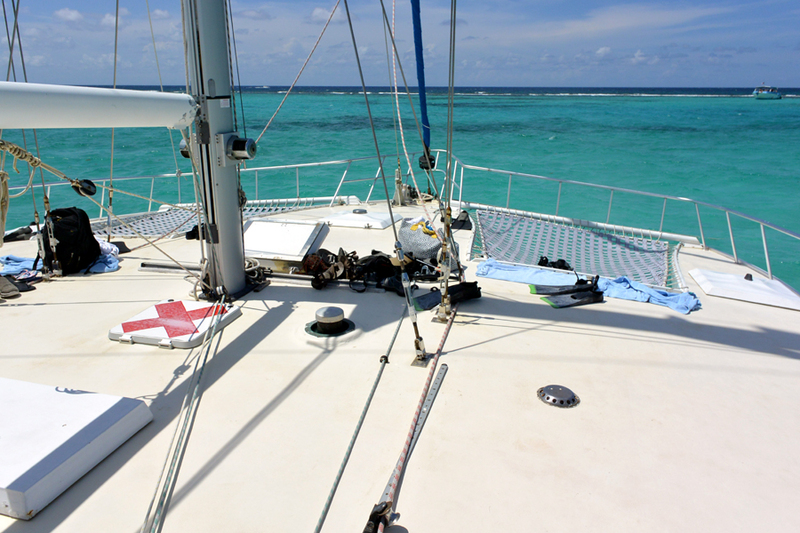 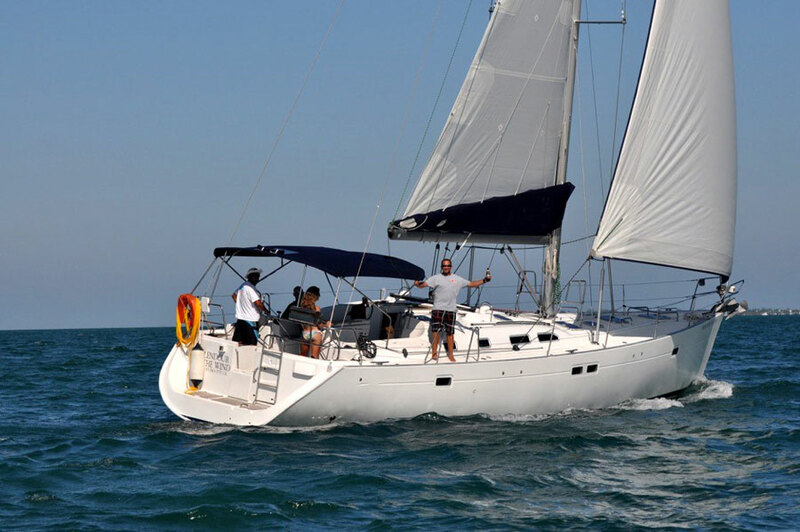 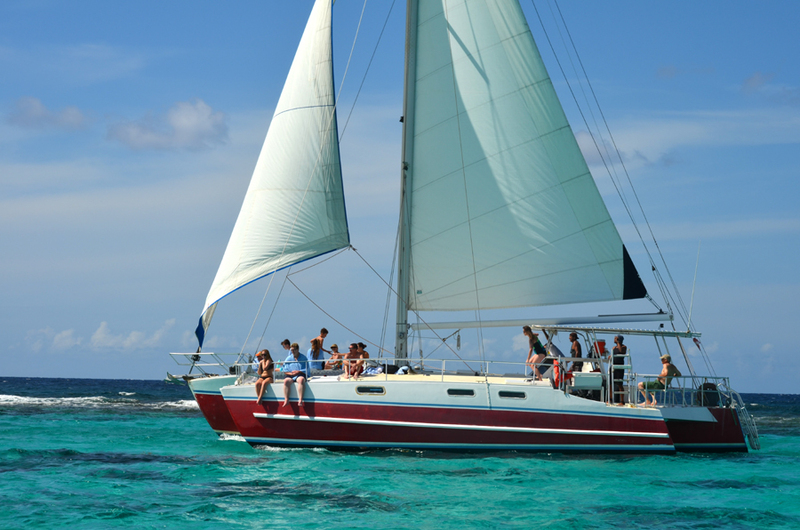 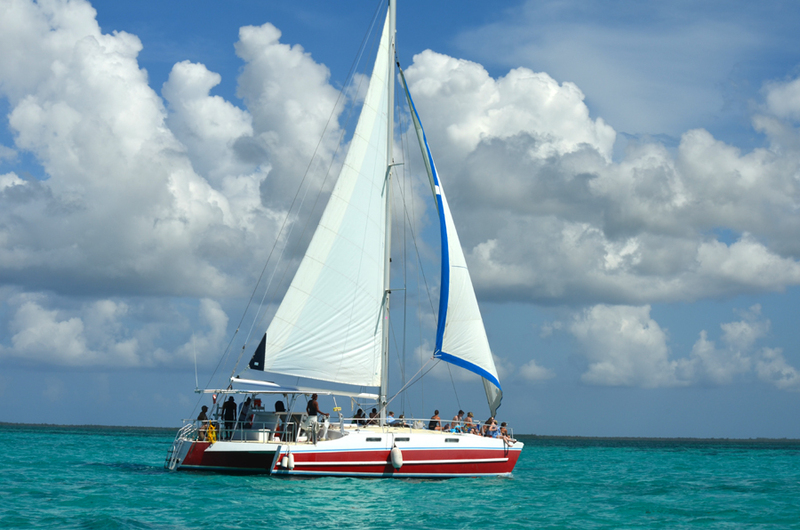 Stretch out and relax on the Trimaran, a luxurious 50ft by 27ft foot catamaran sailboat. 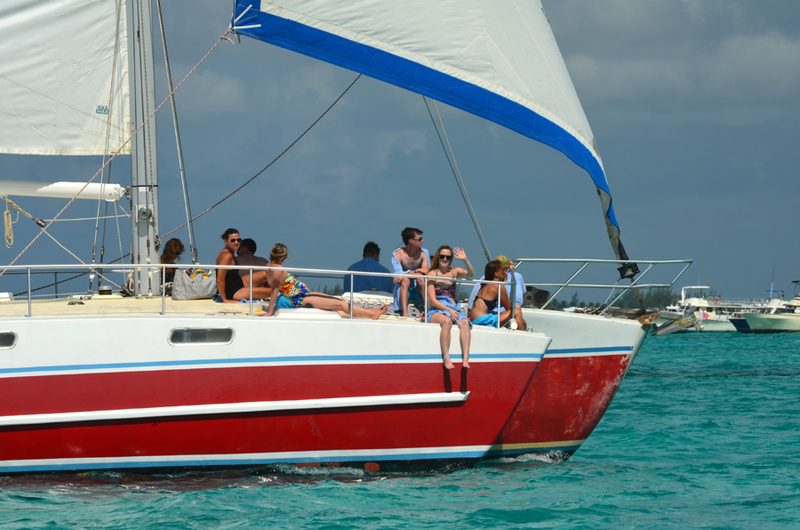 This magnificent vessel offers the best of both worlds with a large sundeck for working on your tan and a shaded area for those of us who prefer to keep cool. 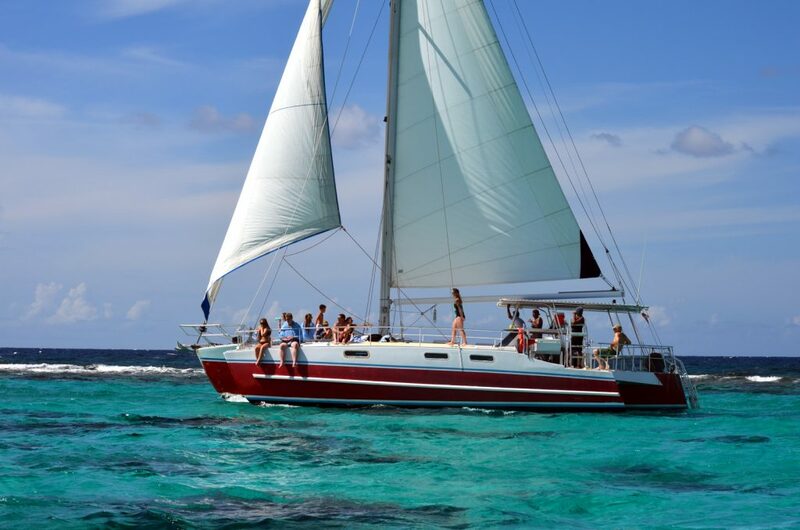 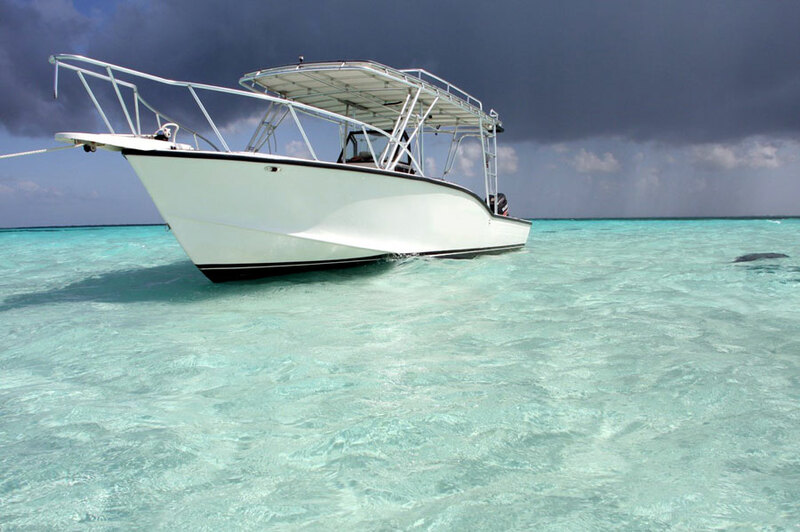 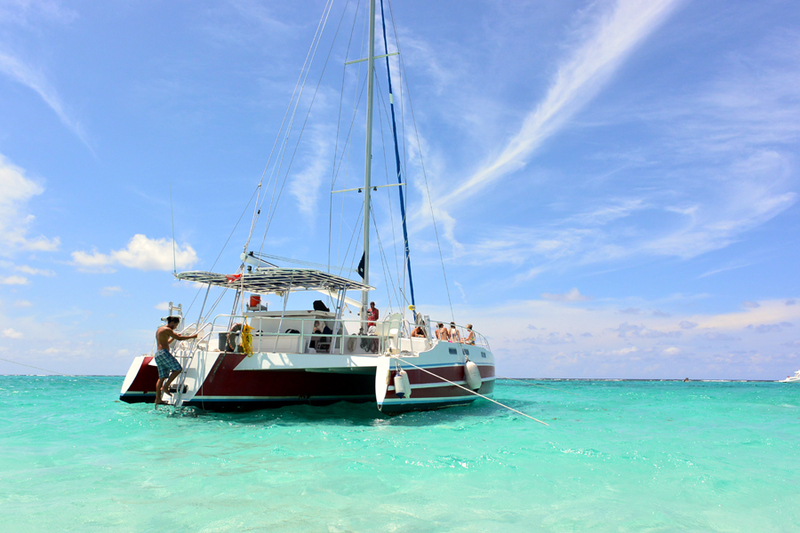 The Trimaran Stingray City Catamaran offers sensational Stingray City and snorkeling trips daily making stops at some of the most beautiful snorkeling and beaches sites. 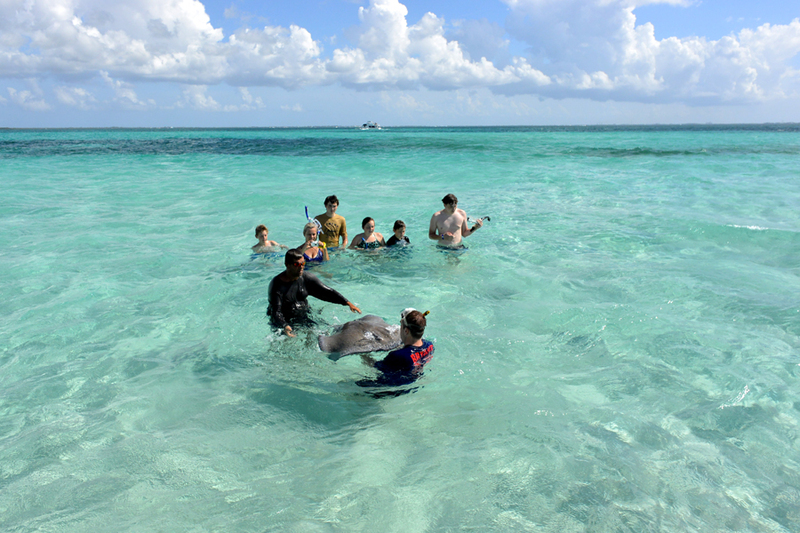 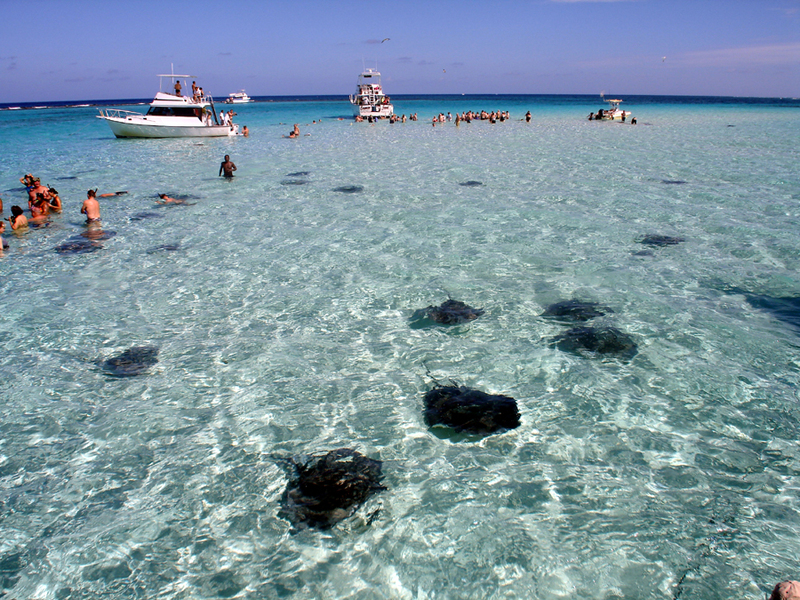 The Stingray City Sandbar is 3ft to 4ft deep so that you can stand in the water while interacting with the stingrays. 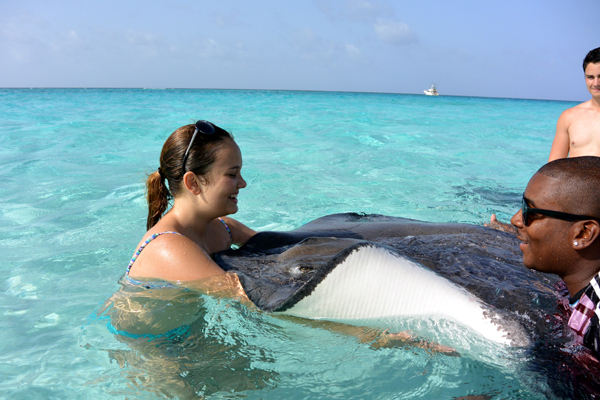 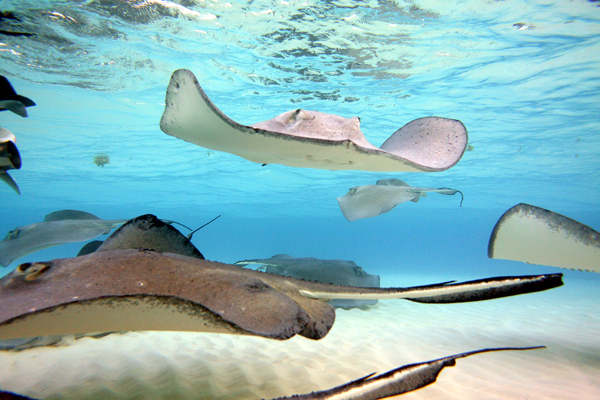 Cayman’s Stingrays are extremely friendly creatures and thoroughly enjoy human contact. 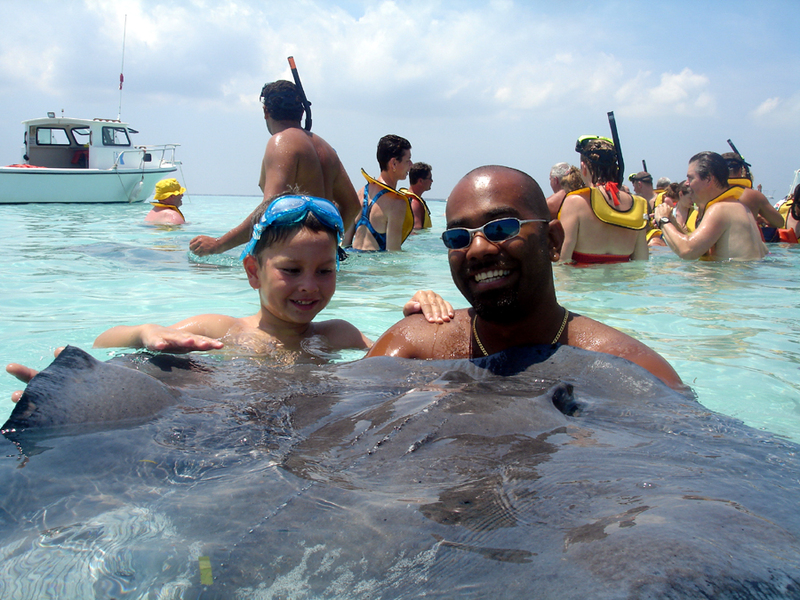 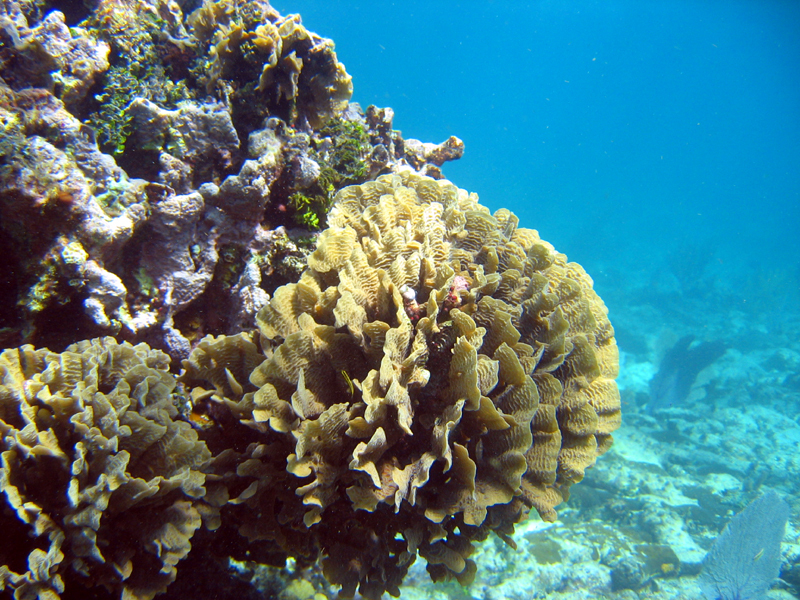 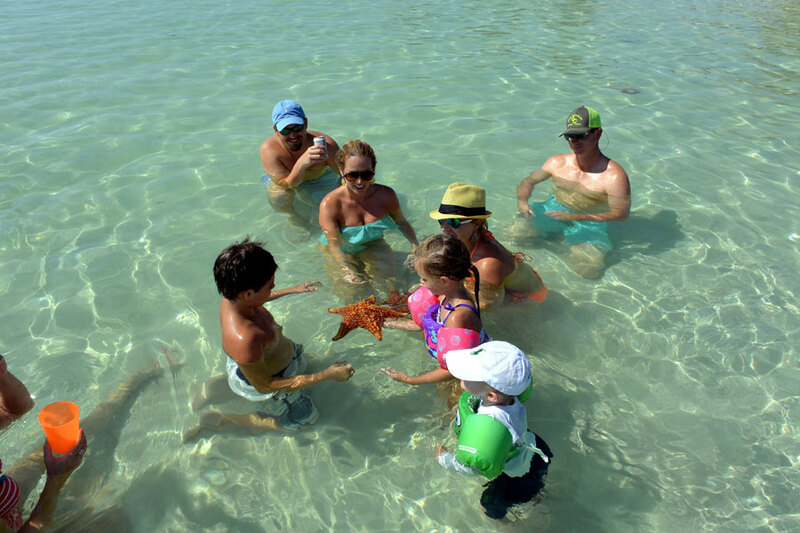 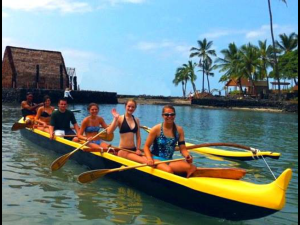 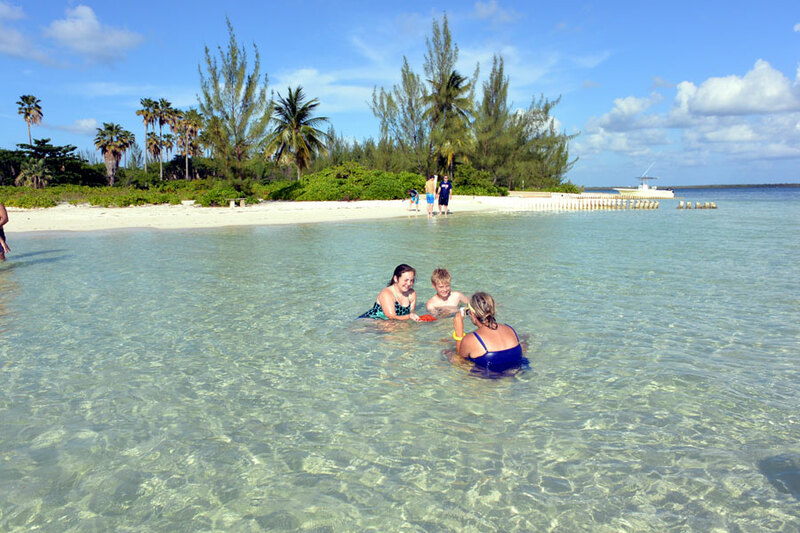 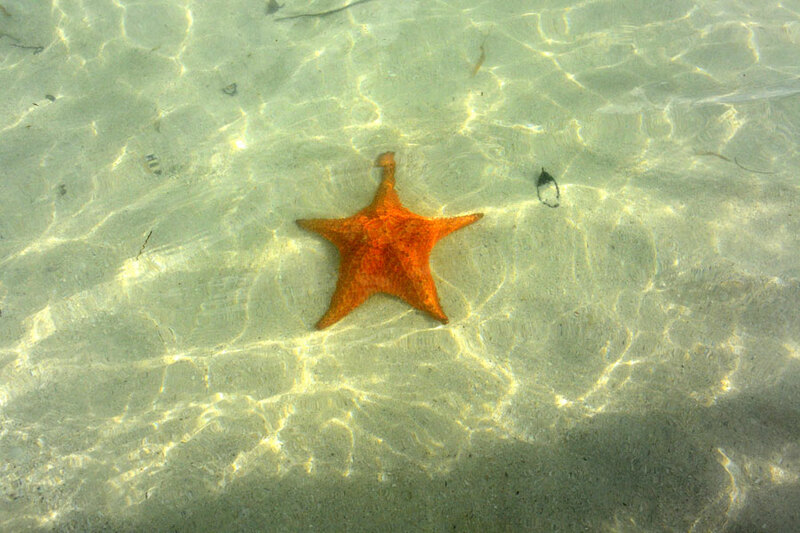 The shallow waters make this a great tour for both adults and children. 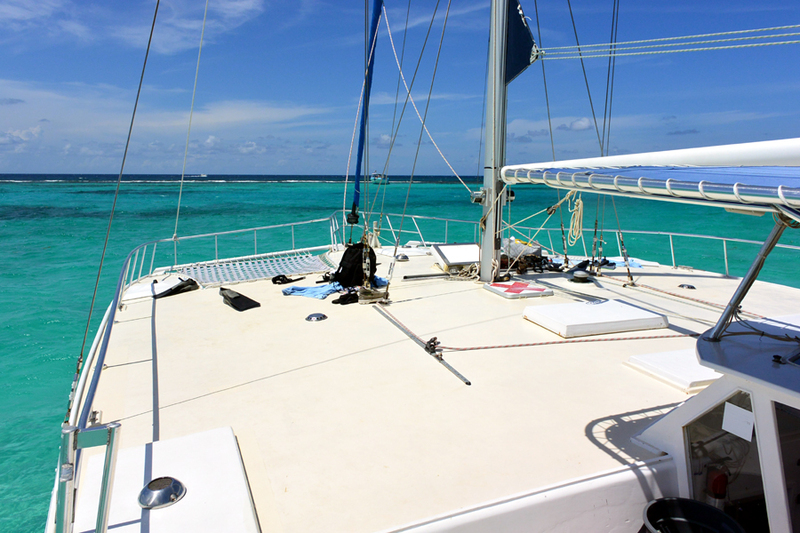 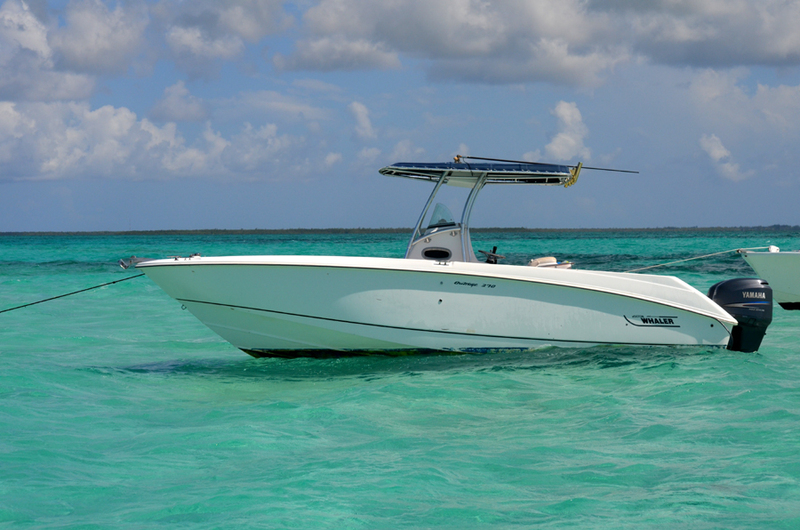 On your way back from the Stingray City Sandbar the Trimaran will sail you to the beautiful Barrier Reef. 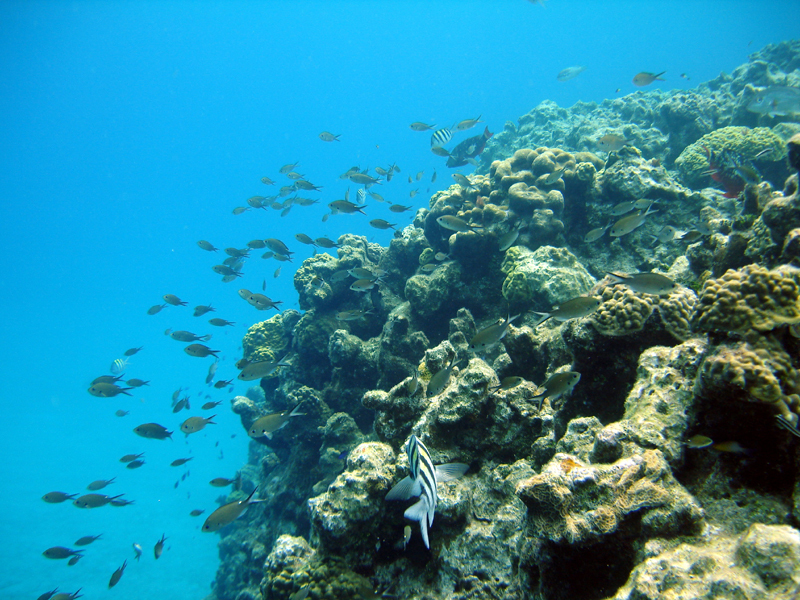 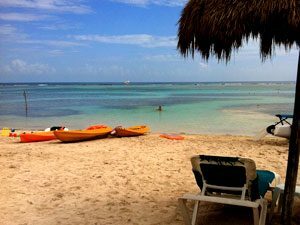 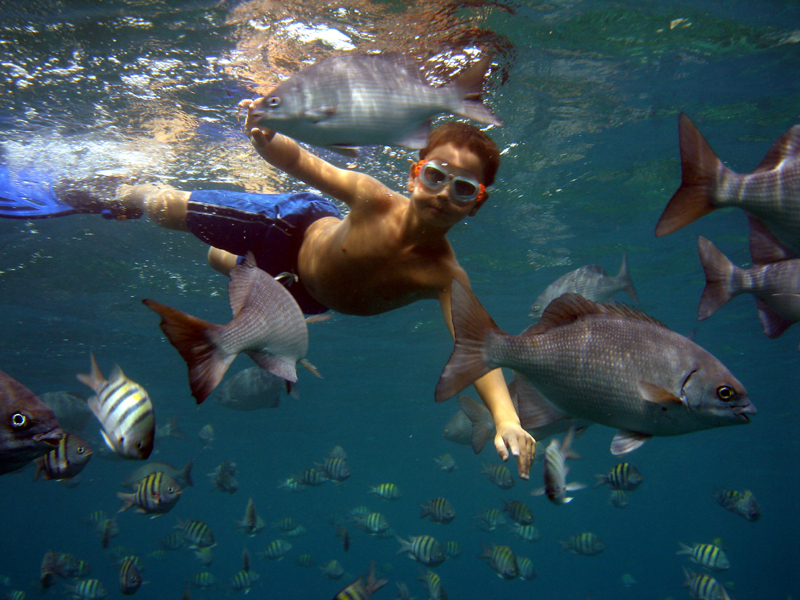 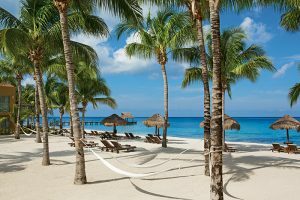 This snorkeling site offers opportunities to spot turtles, eels, rays and a plenitude of tropical fish and coral. 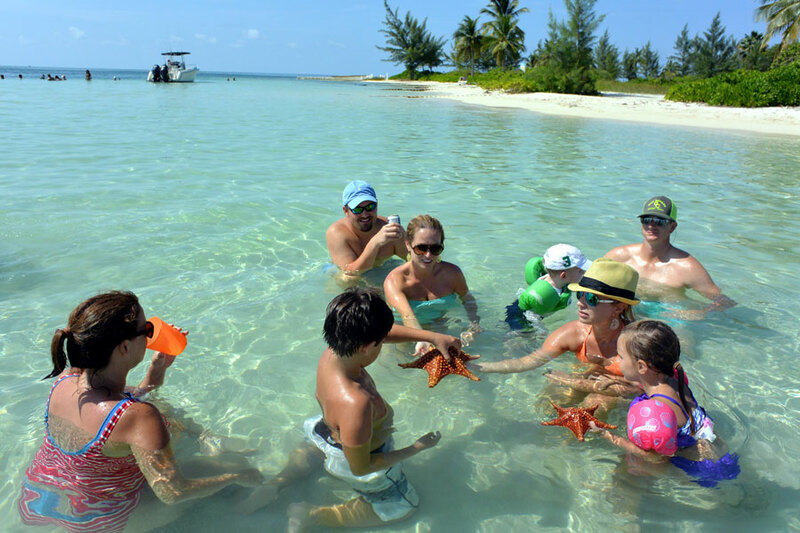 The meeting for the excursion is a short 2-minute walk from your Cruise Ship arrival area, the ease and tour timing could not be better! 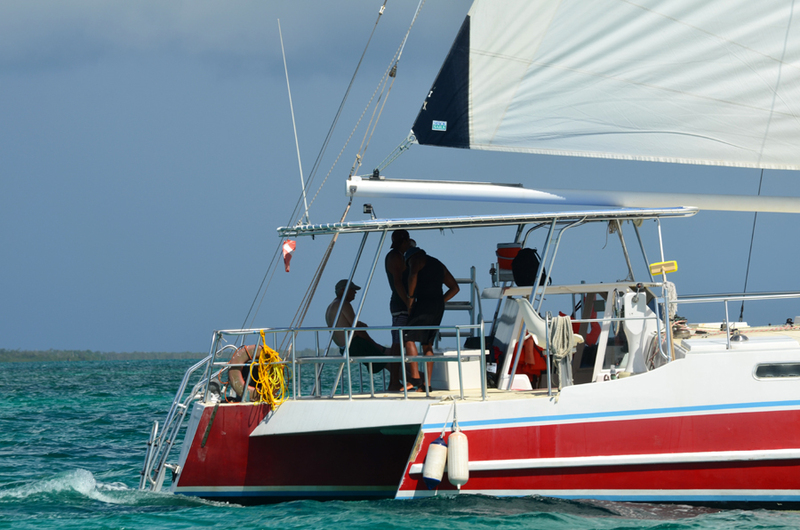 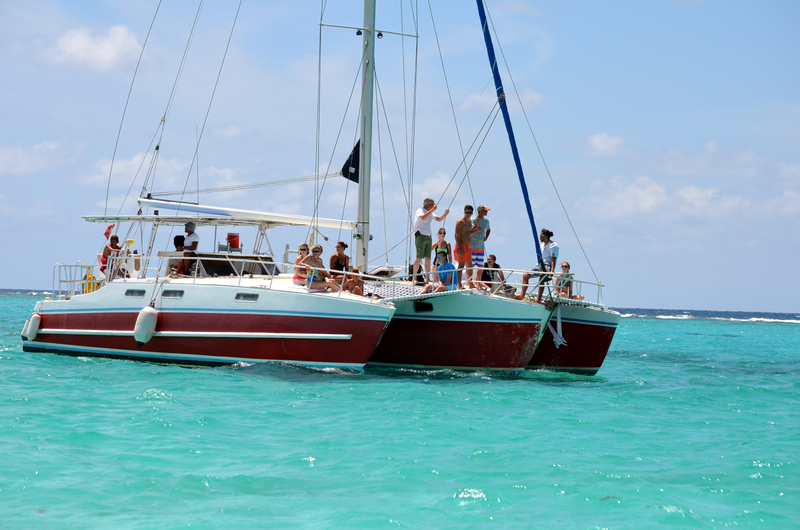 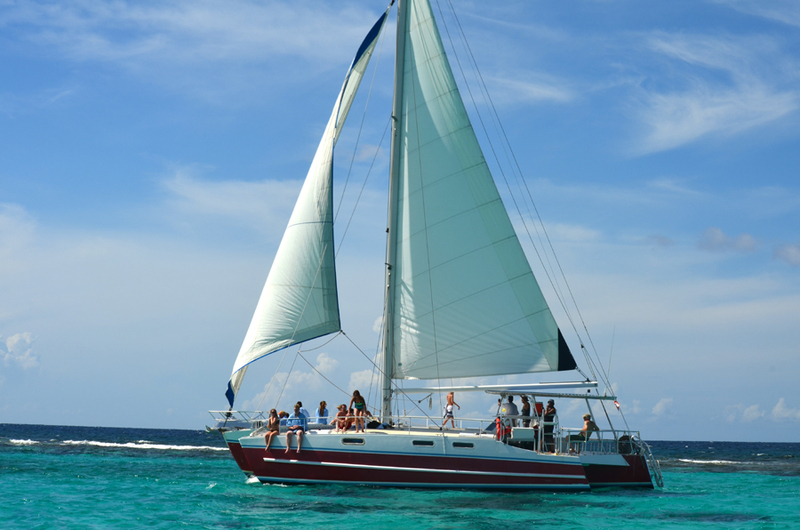 This fantastic half day charter is four hours long, offering 3 excursion stops. 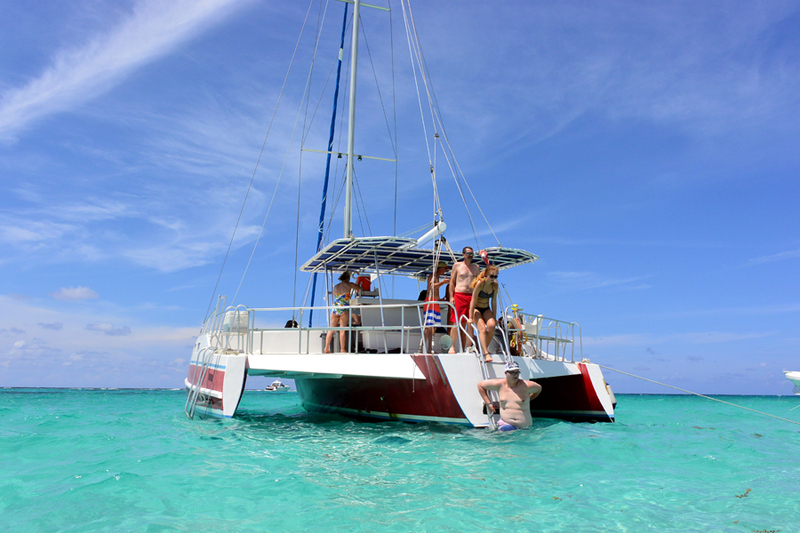 Transport to the Catamaran, snorkeling gear, fruit juices and food for the stingrays all included in the price of the excursion. 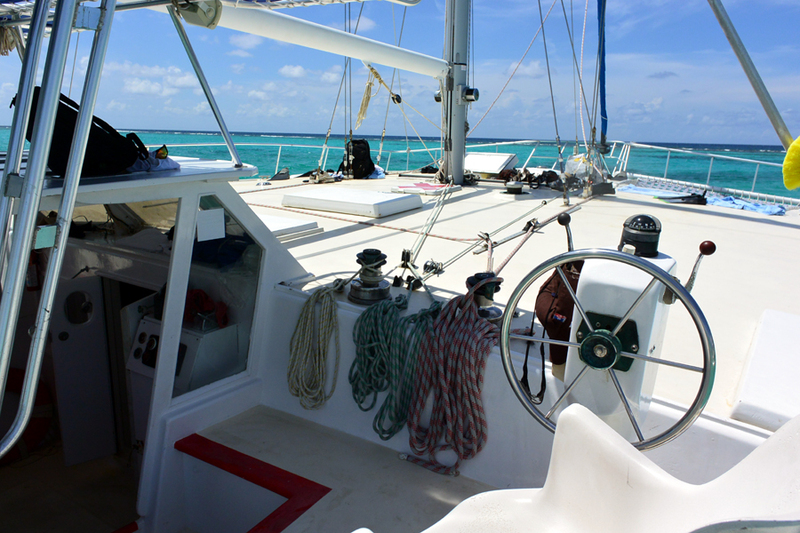 Please feel free to bring along your favorite beverage onboard. 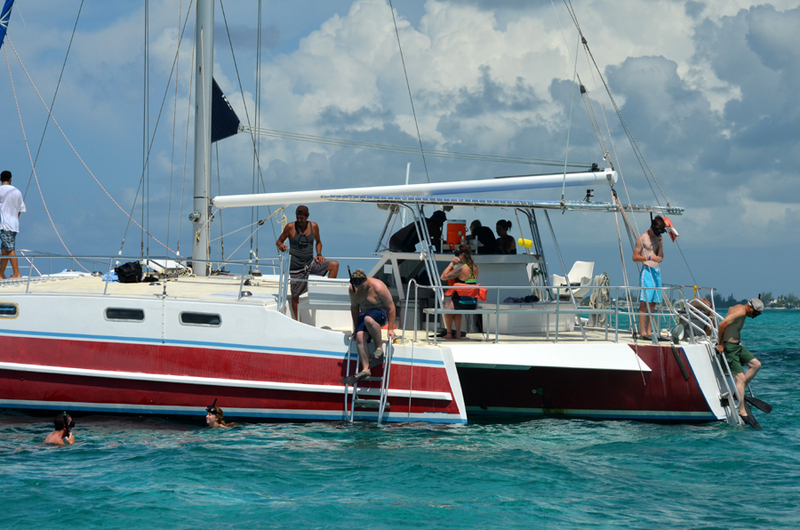 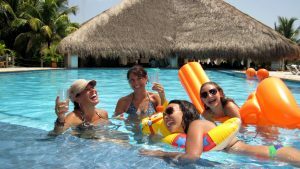 The Trimaran Catamaran can also be reserved for Private Groups or families that would like to have this Stingray City experience for themselves. 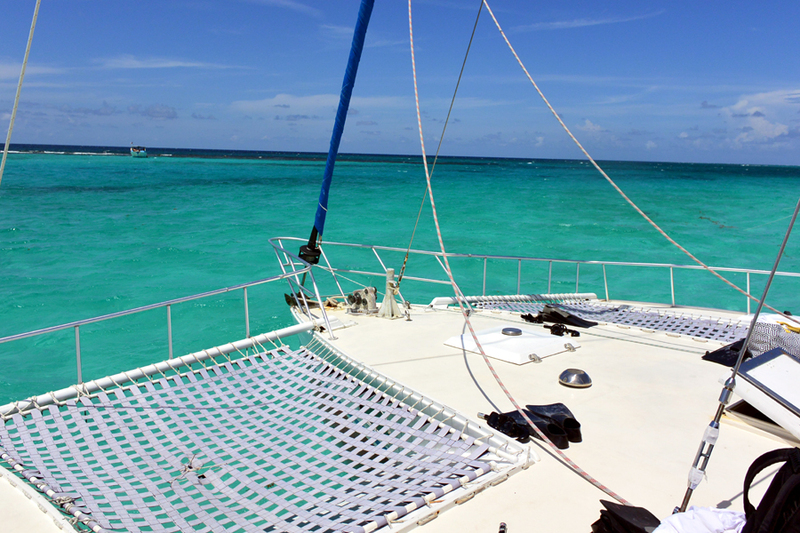 Please contact us for availability for Private Stingray City Catamaran Charters. 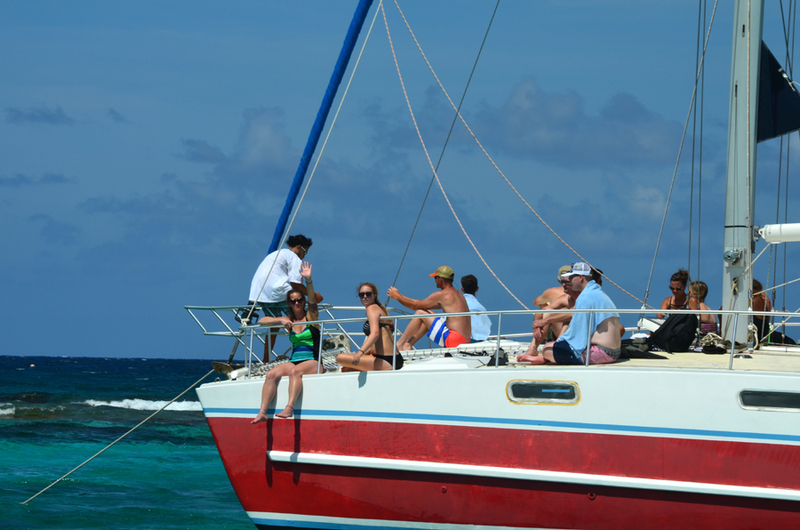 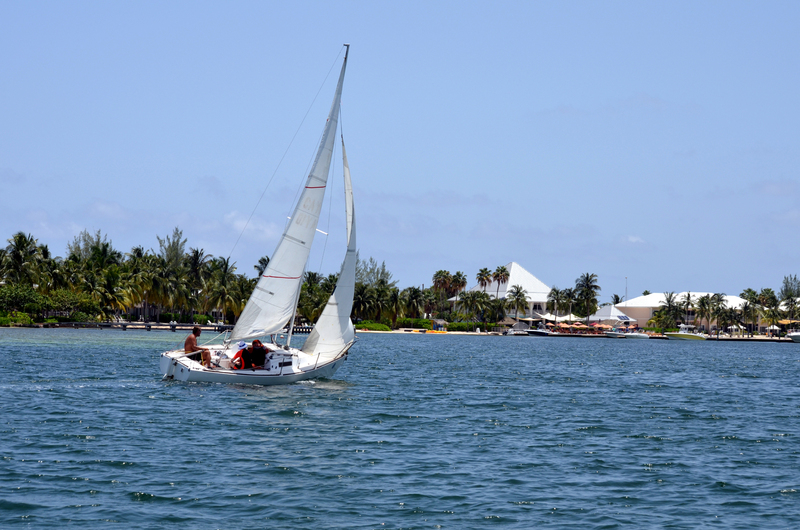 Private Charters are offered for morning and afternoon excursions. 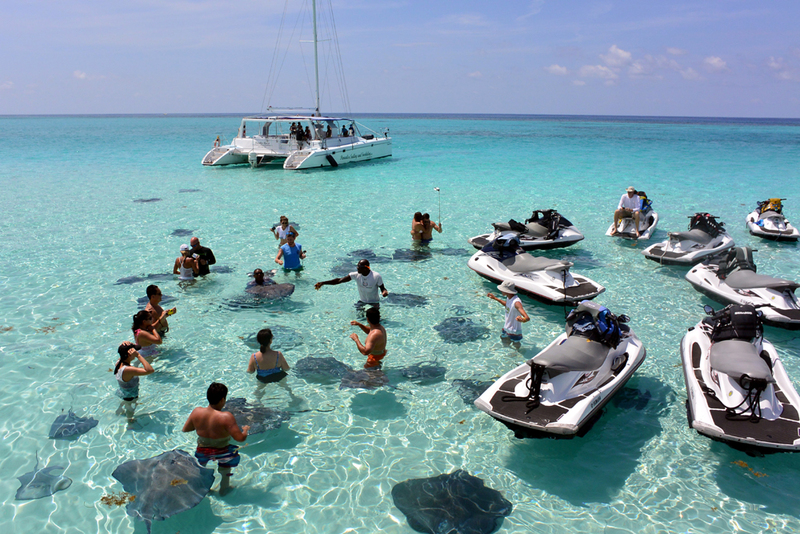 If you are looking for an incredible Stingray City Excursion, this is it! 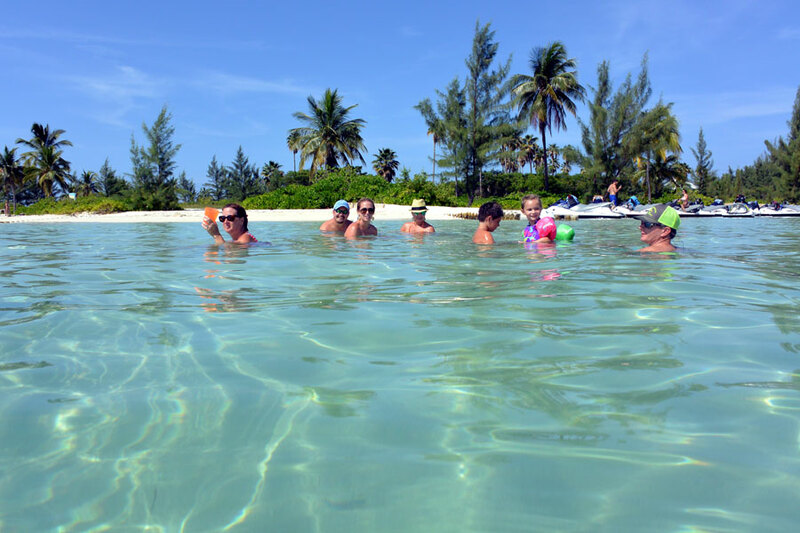 Please ensure to reserve early; with only two tours a day and a limited number of spaces available, advanced reservations are a must! 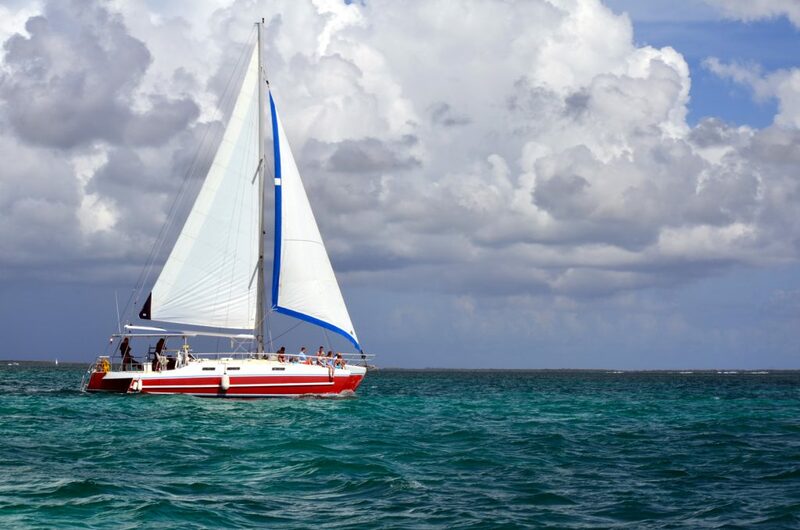 4 Hour excursion Port to Port. 3 stop Stingray City Excursion. 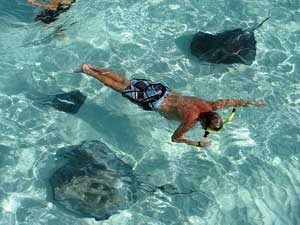 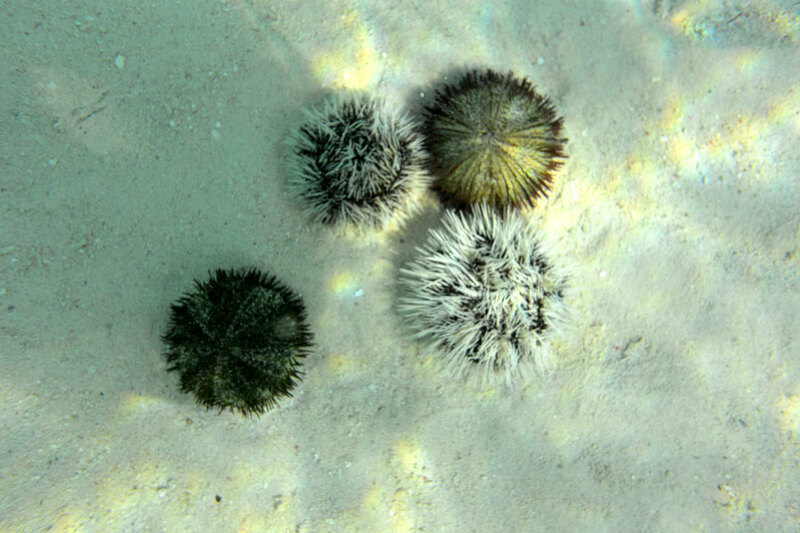 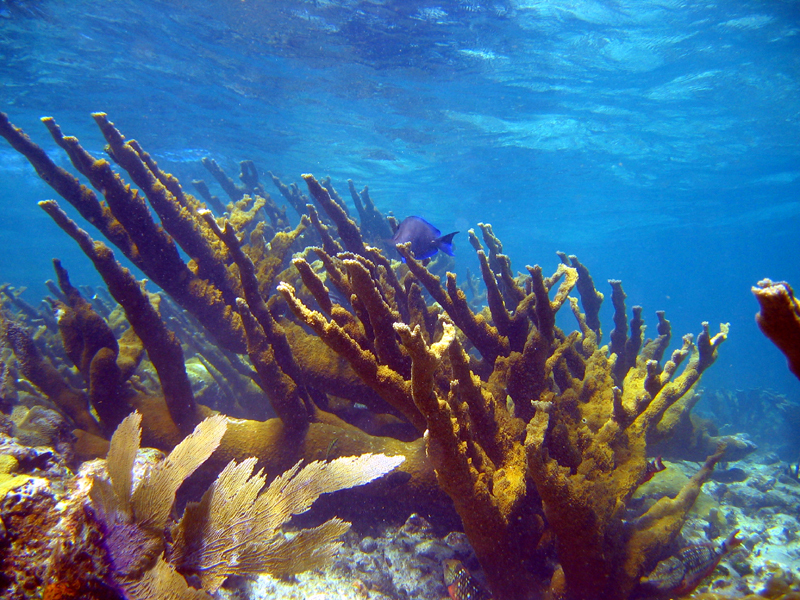 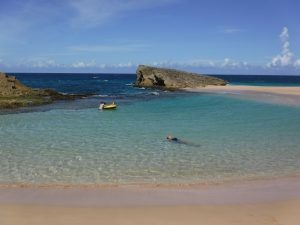 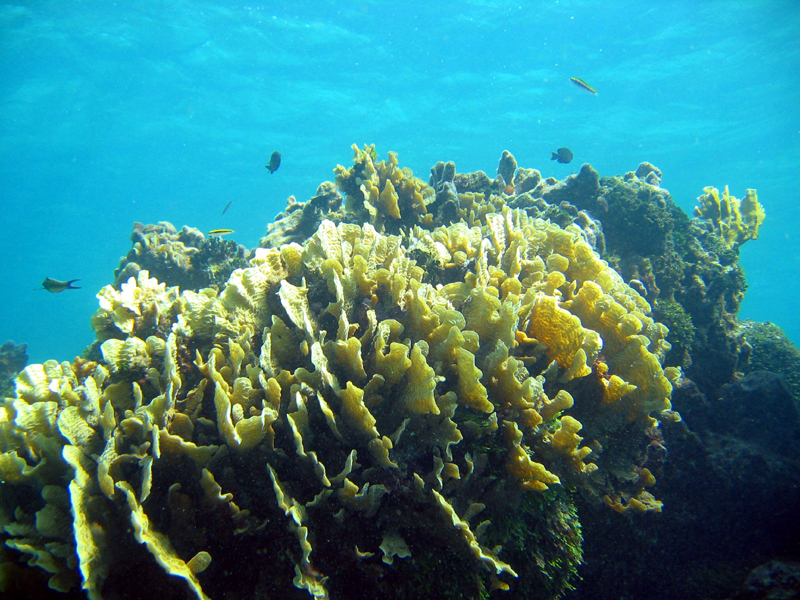 The snorkeling stop at Coral Garnes may be substituted with the Barrier Reef according to weather and/or passenger preference at time of Tour. 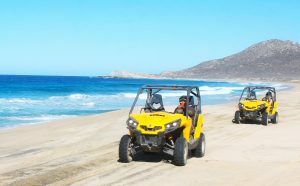 Transport costs are included in the cost of the Excursion. 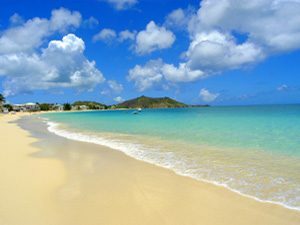 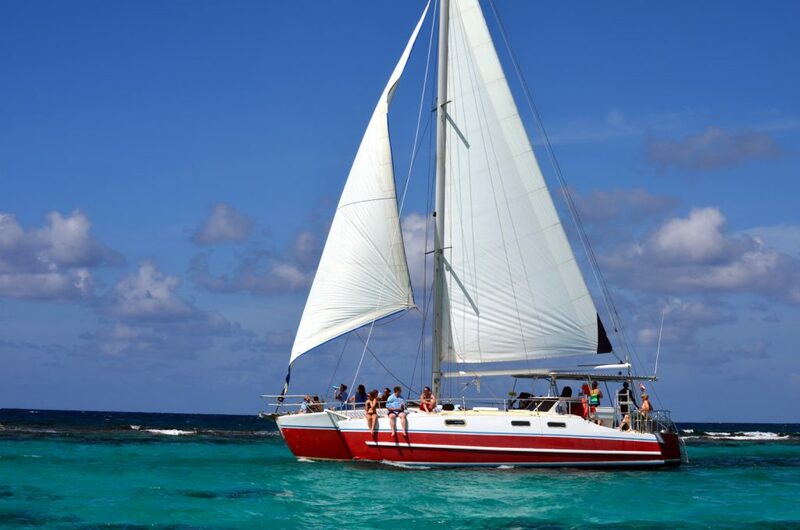 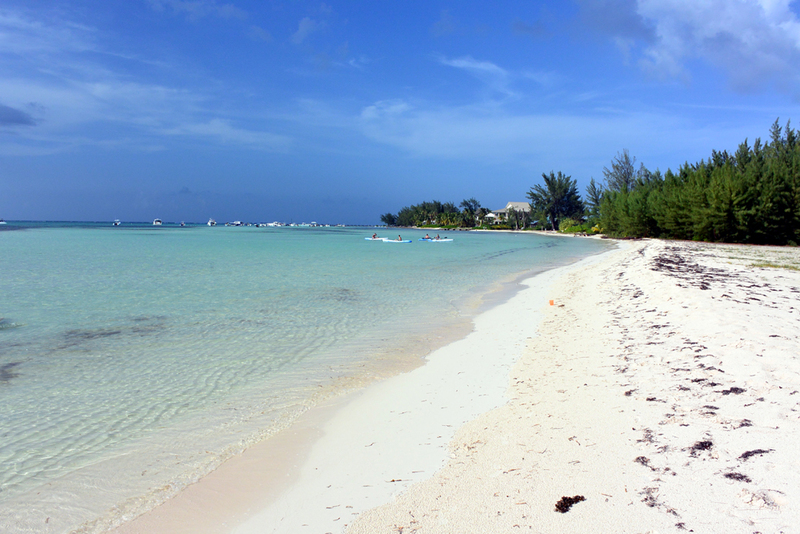 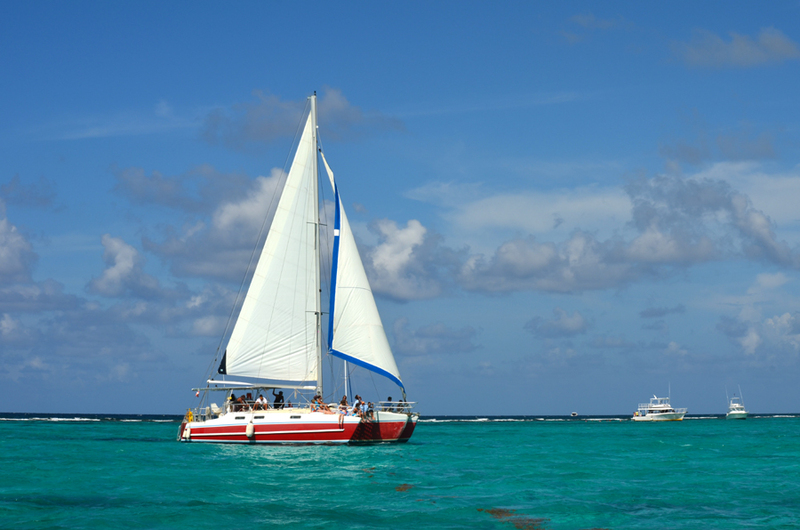 Transport to the catamaran is approximately 20 minutes from the Port. 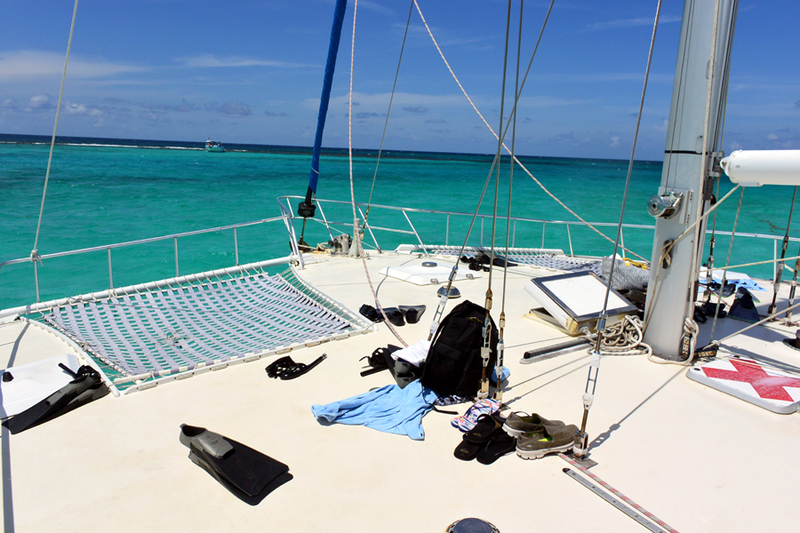 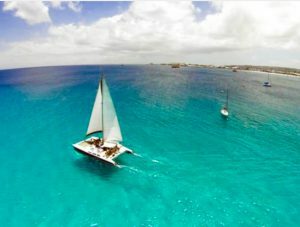 A bathroom is available on the Catamaran.